Get in touch with nature at Manly Beach and Bondi to Coogee Beach Coastal Walk. 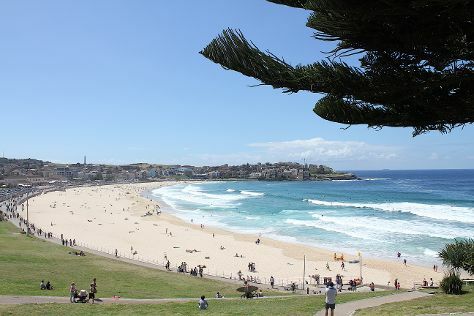 Visit Bondi Beach and Clovelly for some beach relaxation. Change things up with these side-trips from Sydney: Featherdale Wildlife Park (in Blacktown), Bouddi National Park (in Killcare) and Pulpit Rock Lookout (in Blue Mountains National Park). Spend the 14th (Fri) wandering through the wild on a nature and wildlife tour. Next up on the itinerary: take a stroll through The Rocks and identify plant and animal life at Muogamarra Nature Reserve. To find photos, maps, ratings, and other tourist information, you can read our Sydney trip itinerary planning app . If you are flying in from United States, the closest major airport is Sydney Kingsford Smith International Airport. In December, plan for daily highs up to 81°F, and evening lows to 65°F. Finish your sightseeing early on the 15th (Sat) so you can travel back home.